Filorga Pre Peel is used to balance the skin pH before peeling. FILORGA® PRE PEEL is a pH 4 solution containing gluconolactone, phenoxyethanol, and sodium methylparaben that helps prepare skin for a chemical peel. The pre-peel preparation helps adjust the skin’s pH, cleanse skin, and remove excess skin oils so the skin is better prepared for a chemical peel treatment. Doctors, such as dermatologists and plastic surgeons, use FILORGA® PRE PEEL before a FILORGA® chemical peel. The pre-peel preparation helps to cleanse the skin and adjust its pH, freeing the skin of impurities and preparing the skin to help the effectiveness of the chemical peel. You can use FILORGA® PRE PEEL before chemical peels like the FILORGA® LIGHT PEEL for fine lines and sensitive skin, FILORGA® TIME PEEL for wrinkles, and FILORGA® BRIGHT PEEL for age spots and other hyperpigmentation. FILORGA® PRE PEEL is suitable for all skin types. FILORGA® PRE PEEL works by cleansing the skin and removing makeup, impurities, and excess oils, leaving the skin clean and the pores clear to allow the chemical peel to penetrate. 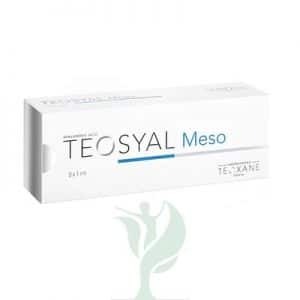 This helps the chemical peel ingredients penetrate the skin where they can exfoliate the top layer of dead skin cells. FILORGA® PRE PEEL also has a pH of about 4, which helps it to balance the skin’s pH to be more neutral. 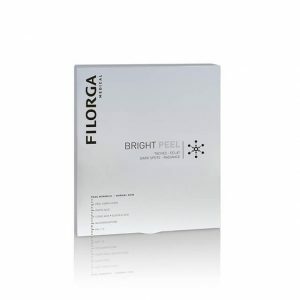 Use FILORGA® PRE PEEL just before performing a chemical peel on your patient, especially one of the FILORGA® brand peels like the FILORGA® TIME PEEL, FILORGA® LIGHT PEEL, or FILORGA® BRIGHT PEEL. To use FILORGA® PRE PEEL, first squeeze some of the solution onto a cotton pad or compress. Next, apply the solution evenly to your patient’s entire face, being careful to avoid the eye area and other mucous membranes. 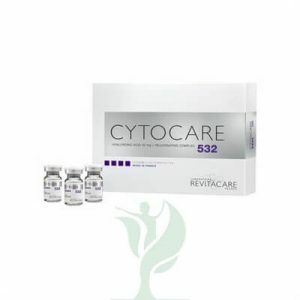 Your patient’s skin is now ready for their chemical peel treatment. You can use a brush to apply the peel solution over the entire treatment area, leave the solution on for about three minutes, then neutralize the peel using the FILORGA® POST PEEL.